As an employer you must be conscious of the importance of hiring a well trained and certified candidate. In this era of increasing competition, it has become a ordinary incident of scam, where candidates present credentials which are not provable. However, as an employer you only want to hire an employee with valid training. We are here to assist you in both cases. We offer a tune exactly catering for the requirement of employers and professionals the same. We take credibility in any training program and verification of training for superior authenticity of the credentials offered. This in fact is a unique service where everyone is a front runner. We also provide official recognition services to training providers and companies that are not occupied in proper education or training. These companies may be a small- or large-scale group, but require having their training processes assessed and recognized. 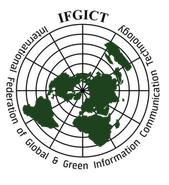 The official recognition is extremely cost valuable; the training organization simply pays for the audits and the review fees per course module per candidate; it is a smart choice: it is money well spent as the training provided by recognized entities is governed by global standards and best practices, so a high quality is naturally assured. We realize and value the tough work and loyalty required providing excellent training to learners at all stages. Save for when it comes to individual trainers or training companies, there seems to be minor recognition at international levels. 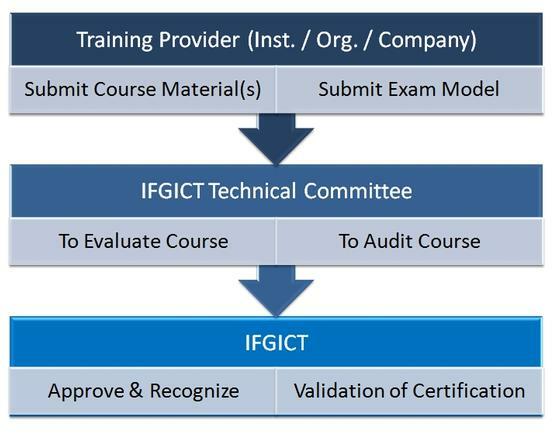 IFGICT training recognition and provide credibility for your hard work. Your students will confidence your hard work more as you will be recognized individual or company. You will have a great deal and superior service delivery as our audit process will certainly improve your training deliverance process to approximately ISO levels. Our official recognition process is very cost valuable and offers a brilliant Return on Investment.